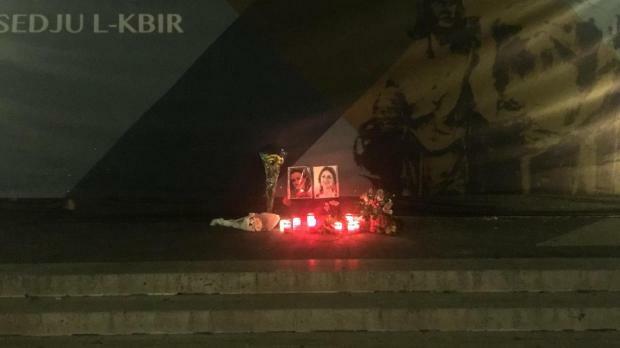 A makeshift memorial to Daphne Caruana Galizia reappeared on Friday evening after all traces of it were removed from the Great Siege Memorial site, only two days after they were placed there to mark one year since her murder and for the umpteenth time. The memorial reappeared in the evening. On Tuesday, activists defied authorities, who have repeatedly removed all traces of a makeshift memorial to the murdered journalist, by unfurling a new banner across hoarding covering the Great Siege monument. "Do not dare remove this memorial," they said to loud applause. The banner and makeshift memorial were still there on Wednesday and Thursday, but there was no sign of either by Friday morning. 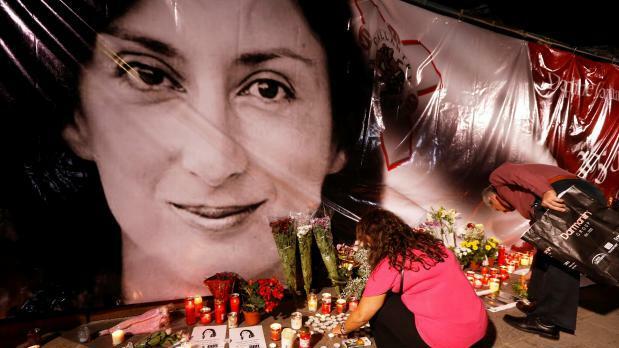 There has been an ongoing battle between activists and authorities over the memorial, with activists placing flowers and placards calling for justice for Ms Caruana Galizia, only for the authorities to clear it again. The memorial was sealed over a month ago "to allow restoration at its base". 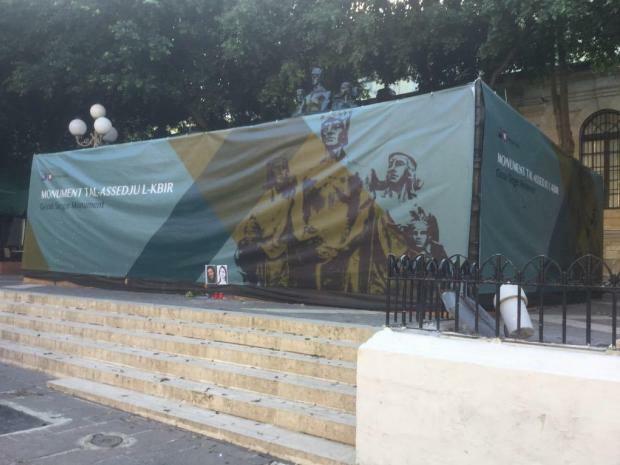 Justice Minister Owen Bonnici said wax from candles placed at the base of the memorial had stained the monument, adding it needed to be sealed off for an undetermined amount of time to be cleared. The move was widely seen by campaigners as the government’s latest attempt to put a halt to the site being used for memorials and protests. Questions sent to the Justice Ministry about the ongoing works had not been answered by time of writing. Reverend David Cilia, during mass marking one year since the assassination of Ms Caruana Galizia, said the “innocuous flowers” had become a sign of irritation to those who do not want to know who murdered the journalist.